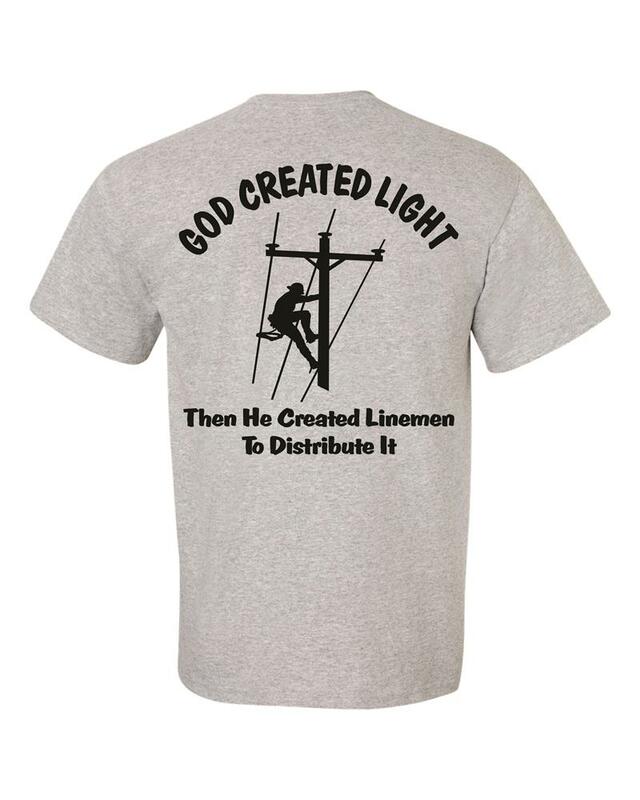 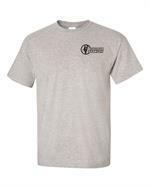 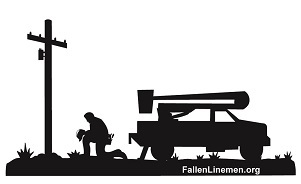 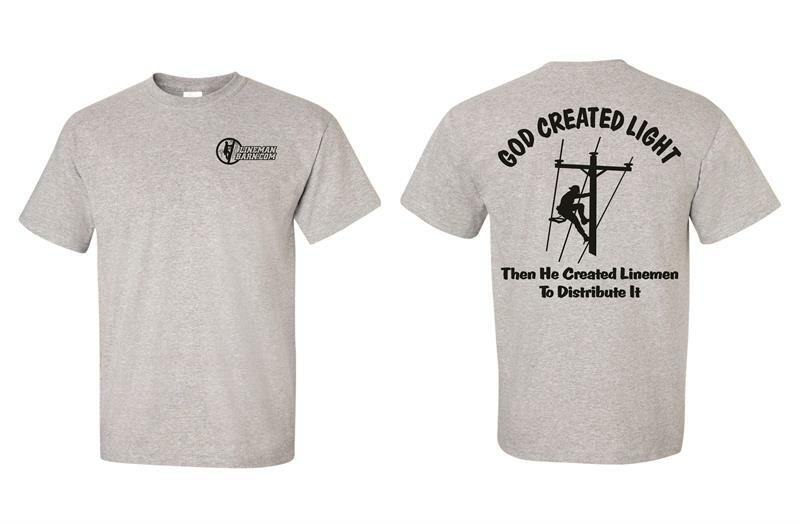 This is a Lineman shirt that will never go out of style. 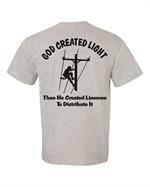 100% made in America. Heather grey with black print.